Leading luxury villa rental provider, Exceptional Villas is now the number one company on trust pilot for villa rentals with a score of 9.9 out of 10 and sixth in the world for travel. One of the world's most trusted travel companies also operates Villas Barbados, a designated villa rental site for the paradise island of Barbados and Dream Ireland which operates and markets a wide selection of cottages and homes throughout the beautiful green isle. Alexandra Baradi, Owner and CEO of Exceptional Villas said, "We have worked very hard to gain our clients' trust and we are delighted to have a trust score of 9.9." 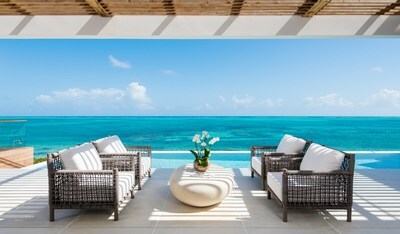 Exceptional Villas only features personally inspected and vetted properties. The Exceptional Villas team spend a large proportion of their time travelling and checking out properties. They also have a mission to always exceed client expectations. They have put truth back into travel, and their core philosophies are integrity, honesty, reliability, dependability and a total commitment to service. Exceptional Villas is part of Dream World Travel Ltd; A European based vacation Rental Company with clients and destinations all over the world. They have been in the travel business for over 25 years and offer a unique bespoke service to their clients. This service includes matching the perfect villa for each client and also providing a full and complimentary concierge service. This service includes all aspects of the client's vacations such as VIP airport arrival, ground transportation, restaurant reservations, tours and excursions, water sports and pre-arrival stocking. Unlike some of their competitors, they do not provide a membership fee. Likewise, their villa experts are indeed experts. They visit every single villa and are filled with a wealth of information regarding each villa, as well as each destination. Exceptional Villas take total pride in the customised service they offer.